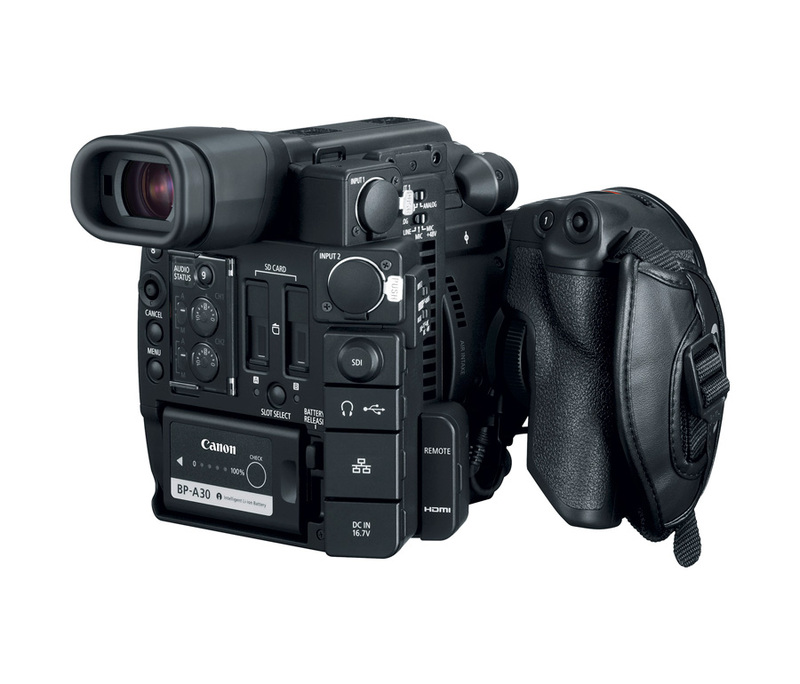 The Canon EOS C200 Digital Cinema Camera is a “ready-to-go” production camera that comes with a built-in electronic viewfinder and an array of accessories including a 4-inch touch screen LCD monitor, a versatile handle and ergonomic handgrip. The camera can record internal 4K RAW to a CFast™ 2.0 card in our new Cinema RAW Light format without compromising detail, as well as 4K UHD and Full HD in MP4 format to SD cards. 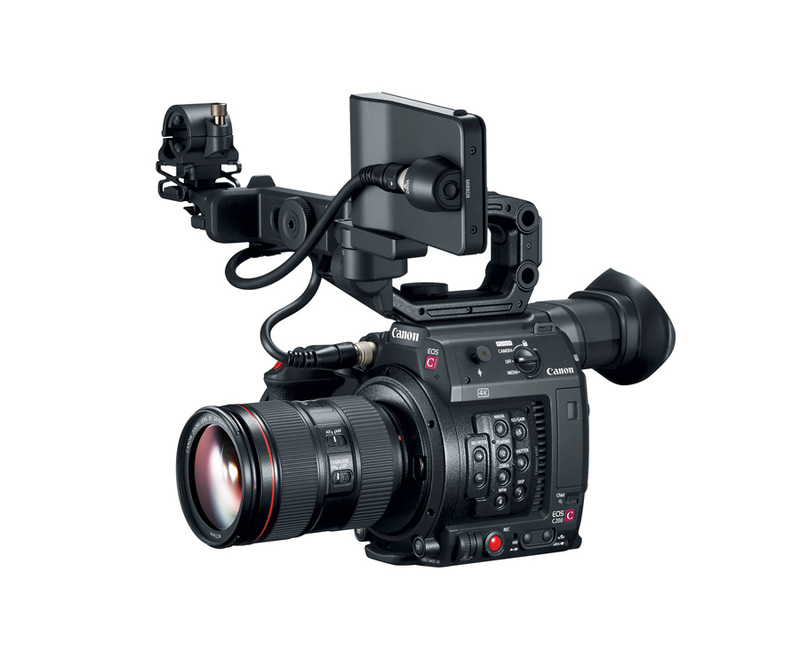 The 8.85 Megapixel Super 35mm CMOS sensor, 13 stops of dynamic range, Dual Pixel CMOS AF, full compatibility with Canon EF-mount lenses, and HDR capability help make the EOS C200 ideal for film, documentary and television production, corporate and event videography, and newsgathering. The camera’s multitude of features help deliver outstanding image quality, performance and versatility. 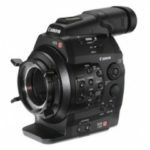 The Canon EOS C200 Digital Cinema Camera integrates an 8.85 Megapixel Super 35mm 16:9 CMOS sensor that supports 4K (DCI) recording with a maximum resolution of 4096 x 2160 pixels. The camera fully utilizes the image data delivered by this 4K CMOS sensor to also enable Over Sampling HD Processing for 2K (DCI) and Full HD 1080/60p recording. Each pixel in this CMOS imaging sensor also maintains a wide pixel pitch that maximizes the amount of light that falls on to each photo site, thus enhancing the EOS C200 camera’s sensitivity while also minimizing noise and supporting ISO speeds of up to 102,400 for extreme low-light imaging. This sensor also reduces data-readout time, resulting in a reduction in rolling-shutter artifacts. The Canon EOS C200 supports an ISO range of between 160 and 25,600. That range expands to between 100 to 102,400 when the “Extended Sensitivity” is set on the camera. This range of ISO settings provide the user with more creative freedom. Low ISO values allow the user to use large iris settings and shallow depth of field, even in scenes of bright light. The higher ISO values provide the user with more flexibility in dimly lit situations. A 54db gain setting can also be set to achieve high sensitivity in dimly lit scenes. The EOS C200 Digital Cinema Camera features the Canon Dual Pixel CMOS AF (DAF) Technology. The EOS C200 has one-touch AF (with a push-button) and continuous AF within approximately 80% of the overall image area. Face Detection AF is another autofocus mode that can track a person’s face in the frame and maintain focus on them. To further fine tune AF performance, the EOS C200 offers the ability to set the AF tracking speed (up to 10 steps) and sensitivity (up to 7 steps) to match the user’s preference. Achieve faster focus with the included Touch Screen LCD Monitor (LM-V1), a new accessory with touch screen support. Tapping the area of the frame quickly brings the image into focus. The camera’s Dual Pixel Focus Guide takes advantage of Dual Pixel CMOS AF data to display focus assist information on the screen. The innovative user interface applies Dual Pixel CMOS AF technology to provide the user focus feedback. This lowers the barrier for focusing, especially when shooting in 4K, which requires strict focus accuracy. The Dual Pixel Focus Guide presents the user with a rectangle in which to focus the subject. The rectangle turns green when the subject is in focus. If the subject is out of focus the box will turn gray and the arrows will indicate which way to adjust the lens to regain focus. recording file format offering a smaller file size compared to our standard RAW*1 files, while maintaining the same high resolution, high color reproducibility, and wide dynamic range data to provide dramatically greater freedom in grading and compositing. Cinema RAW Light files are about 1/3 to 1/5 the size of our standard RAW files. The smaller file size and reduced bit rate speeds up data transfer and allows internal recording to CFast™ cards. The reduced file size also helps users extend storage capacity and transfer files on a network more easily. The high bit depth of Cinema RAW Light (10bit/12bit*2) maximizes retention of color and dynamic range information, which is especially critical in HDR production. *2 12bit for 4K/30p and under, 10bit for 4K/60p and 50p. Each bit is efficiency optimized in consideration of visual properties. 4K video can be recorded to a CFast™ 2.0 card while recording 2K proxy video to an SD card. The smaller size of the 2K proxy file allows for easier editing. 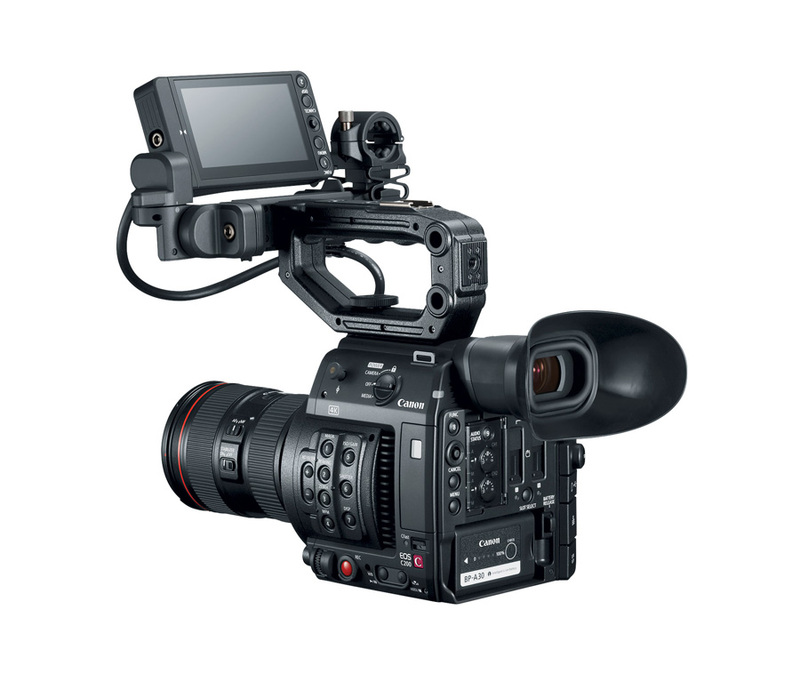 The Canon EOS C200 Digital Cinema Camera offers 4K UHD and Full HD recording in MP4 format, up to 60fps. The compact size of the MP4 codec allows the EOS C200 to capture images directly to low cost SD cards. The EOS C200 Digital Cinema Camera supports high-speed recording in Full HD at 120p/100p fps to enable additional creative freedom for slow motion replays and other special effects. 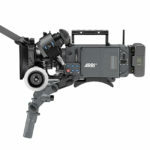 It’s capable of a maximum 120fps, realizing even greater emotion in visual expression. 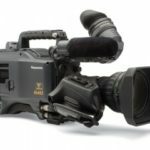 Mirror recording of 4K UHD/Full HD MP4 image files to the camera’s two SD slots is possible, saving time and effort of having to make copies of the data after recording. 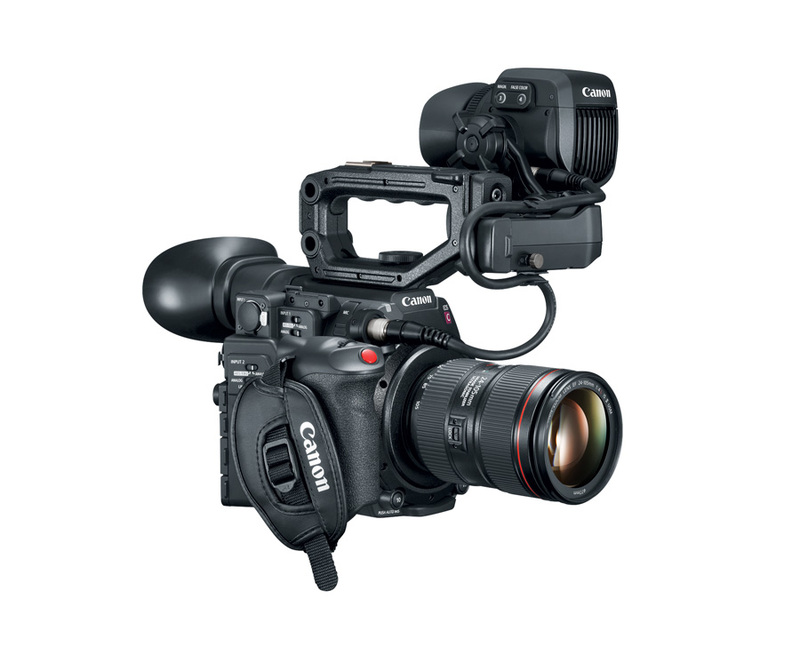 The Canon EOS C200 supports both Canon Log and Canon Log 3 Gamma. Canon Log is designed to reproduce, in post production, the entire tonal range that the CMOS image sensor is capable of. Log workflow provides the user with higher dynamic range, more highlight and shadow retention, and more flexibility in grading. When using Canon RAW Light and Canon’s RAW development software it is possible to additionally use Canon Log 2 allowing for a total of 15 stops of dynamic range out of the camera. Using this method requires additional post production time over other options, but gives the highest quality and flexibility for post. 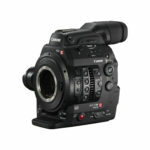 The Canon EOS C200 provides the Canon Wide Dynamic Range Gamma function that allows users to get many of the benefits of Canon Log Gamma while maintaining an 18% gray point similar to Rec. 709. By using this setting, users can maintain the full dynamic range of the sensor without the need for extensive post processing. Use of Wide DR Gamma can greatly reduce post production time while maintaining very high image quality. The camera uses an internal, motorized ND assembly consisting of two rotating disks with glass ND filters between the rear of the lens and the front of the sensor. This combination of ND filters allows 5 steps of neutral density. In normal mode 2, 4 and 6 stops are available. In extended mode, 8 and 10 stops are also available.